Union Minister Selja has said that had the district administration taken adequate steps to tackle the situation in Mirchpur at the initial stage, the violence against Dalits, which claimed two lives in April last, could have been prevented. The police has booked 14 persons, including the District Social Welfare Officer, the naib tehsildar and the sarpanch of Chandrawal village, for alleged embezzlement of pension funds for the aged persons and widows. In a judgement, which will go a long way in guiding the authorities in dealing with the demand for change in their date of birth by government servants, the Supreme Court has provided relief to a Haryana woman judge. The CBI failure to argue against the regular bail plea filed by an accused in the murder case of Dera Sacha Sauda manager Ranjit Singh has cost it dear. Coming down heavily on the premier investigating agency for not submitting a written request for an adjournment in advance, Justice Ranjit Singh of the Punjab and Haryana High Court today imposed a cost of Rs 10,000 on the agency. The investigating officer, too, stands summoned. Chief Minister Bhupinder Singh Hooda launched the computerisation of libraries of the district and sub-divisional Bar associations in the state at a function here today. The project would benefit advocates in the field. All information pertaining to pending cases would now be available to litigants at the click of the mouse. State Health Minister Rao Narender Singh inaugurated a heart and medical check-up camp organised by the district unit of the Haryana School Lecturers Association (HSLA) and Smanco Parivaar in collaboration with Medanta — The Medicity, Gurgaon, on the premises of the State Council of Education Research and Training (SCERT) here today. The minister maintained that the posts of doctors lying vacant in the government hospitals would be filled soon. A complete transparency would be observed in the recruitment process, he asserted. Two more couples who have married against the wishes of their parents have been given security by the police authorities. Both the couples have been lodged in a shelter home with police protection round the clock. The Kurukshetra University Vice-Chancellor, Lt-Gen (Retd) DDS Sandhu, today barred three students from entering the campus on the recommendations of a proctorial committee for alleged beating and ragging of two students. Prof Raghuvendra Tanwar, Registrar, said an FIR had also been filed in the case. In a major breakthrough, the Karnal Police claimed to have busted and interstate gang of luxury car thieves operating in half a dozen states in the region. The police arrested three members of the gang and recoved 11 luxury cars from them. These vehicles, including safari, Qualis, Indigo, were worth Rs 50 lakh, the police said. Some private power producers (PPP) take state governments for a ride by first entering into power purchase agreements (PPA) with them and then, once generation starts, they back out of the agreements to sell power at higher rates. The police has registered a case against a medical officer for allegedly issuing a fake medico-legal report (MLR) in a case of brawl for showing a normal injury as a grievous one. The incident pertains to June 17, 2009, when Munish and Surender, both residents of Lalwas village, had an altercation over irrigation water and both lodged complaints accusing each other of hurting and criminal intimidation. The INLD will seek sanction from the Governor to prosecute Chief Minister Bhupinder Singh Hooda for his alleged involvement in various land scams. This decision was taken at a meeting of the Political Affairs Committee of the party held under the chairmanship of party chief Om Prakash Chautala today. In a major seizure, the local police has recovered about 230 kg of charas from four persons here today. The accused had been on their way from Gohana towards Rohtak in a private vehicle and were nabbed after they were intercepted by a police team on a tip-off. Two of the accused hail from Bihar. Rewari: The police has arrested four persons, Shankar Lal, Jagdish, Shri Chand and his son Praveen Kumar, all residents of Qutubpur Colony here, in connection with the murder of city youth Lala Ram Gujar (25) here on February 9. A five-day Red Cross training camp for girls was today inaugurated by Red Cross training officer RP Saini in Geeta Vidya Mandir Girls College. Union Minister Selja has said that had the district administration taken adequate steps to tackle the situation in Mirchpur at the initial stage, the violence against Dalits, which claimed two lives in April last, could have been prevented. Talking to mediapersons here late last night, she said the police had been informed about the simmering tension in the village but the authorities did not take the matter seriously and the situation went out of hand. The minister said she was certain that had the administration held talks with members of the two communities, there would have been no violence. She said all communities wanted to live in peace and divisions on caste lines would benefit none. Selja called upon the civil society and political groups to come forward and help strengthen community bonds. Meanwhile, the new Deputy Commissioner, Amit Aggarwal, who took over yesterday said his first priority was to solve the Mirchpur tangle. Accompanied by senior officers, Aggarwal met the affected Dalit families who asked him to ensure that they were able to earn their livelihood in the village. Members of different communities sought more development in the village. The DC said there were plenty of government schemes for development of villages and these would be implemented in Mirchpur too. He said his endeavour would be to make Mirchpur a model village in all respects. Sirsa: The union government will soon start Rajiv Awas Yojna (RAY) - the UPA government’s flagship programme to make India a slum-free country. Union Minister for Housing and Urban Poverty Alleviation Kumari Selja said the new scheme would take the place of Jawaharlal Nehru National Urban Renewal Mission.(JNNURM). Speaking to mediapersons at Dabwali town here last evening. Selja said the JNNURM started in 2005-06 in 63 big cities of the country, but the RAY would be started in all urban areas of the states, which show interest in the scheme. She said the objective of the scheme was “slum-free cities and slum-free India”. The main feature of the RAY was that there would be no upper ceiling of financial assistance of Rs 1 lakh for construction of house as in the case of the JNNURM. The decision to scrap the upper ceiling has been taken in view of the fact that making house in Rs 1 lakh was no more feasible in view of inflation. The minister said under the scheme half of the expenditure on the construction of houses would be borne by the Centre, while the state governments would spend the rest from their own resources. She said the private section too would be involved in the scheme. Selja also visited the residence of former Haryana minister Jagdish Nehra at Panniwala Mota village to condole the death of Savitri Devi, wife of Nehra’s younger brother. A case under Sections 406, 409, 419, 420, 467, 468, 471 and 120-B of the IPC for criminal breach of trust, cheating, forgery and criminal conspiracy has been registered against District Social Welfare Officer Satyawan Dhilor, naib tehsildar Mohinder Singh Fogat, sarpanch of Chandrawal village Dharamvir Singh, former sarpanch of the village Ram Piari and some panchayat members. The case has been registered following orders of the local court on a complaint filed by villager Phool Singh, alias Ram Dayal, who alleged that he had not been getting pension, despite being eligible, for the past four months. He alleged that when he contacted former sarpanch Ram Piari, he was told that the government had stopped his pension. When he failed to get any satisfactory reply from the Social Welfare Department and the block development office, he sought information regarding all pension beneficiaries of the village under the Right to Information Act in November 2010. The information revealed that pension for elderly and widows in the names of non-existence persons had been released continuously for months, while that of some eligible persons had been denied. DSWO Satyawan Dhilor said he had been falsely implicated in the case by the complainant. He maintained that the team for recommending pension was constituted on the orders of the DC and comprised a medical officer, a naib tehsildar and a clerk of his office. Similarly, while cancelling the pension of a beneficiary on death or otherwise, the recommendation is given by the village sarpanch and the numberdar. Naib tehsildar Mohinder Singh Fogat was on leave and hence could not be contacted for his comments. There was more trouble for the sarpanch of Chandrawal village with another case slapped upon him for allegedly killing a woman and injuring the victim’s father-in-law by running his car over them in the village here last night. Sarpanch Dharambir Malik has been booked for murder and rioting under Sections 148, 149, 323 and 302 of the IPC. No arrest has been made so far. A villager, Anil Sharma, has alleged in his complaint that the sarpanch, who, he alleged nursed a grudge against him, came to his house with his other companions and ran his car over his wife Sonu and father Jagdish Sharma following an altercation. The sarpanch is absconding since then, he alleged. Anil alleged that his family had voted against Dharambir in the panchayat elections. Anil alleged that Dharambir considered him responsible for the case and had been threatening him for a compromise. Realising that her date of birth was wrongly recorded in the birth certificate, she made a representation to the Punjab and Haryana High Court in April, 2002 (within two years of her joining the government service) for changing her date of birth from January 26, 1971, to January 9, 1972. After her representation was rejected by the High Court, Narinder Kaur filed a writ petition, which was also dismissed in April, 2006. The High Court said she had failed to show satisfactorily that she had not taken any advantage of her recorded date of birth. 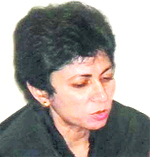 The court was also of the opinion that since her “mature age as calculated from the date of birth mentioned in her application form must have influenced the minds of learned judges who were members of the selection committee, the principle of estoppels would apply to the facts of this case.”An aggrieved Narinder Kaur moved the Supreme Court. A Supreme Court Bench comprising Justice JM Panchal and Justice HL Gokhale said that as the petitioner had applied for correction of her date of birth within the specified period of two years of joining service as provided in the Punjab Financial Volume 1 (Haryana First Amendment) Rules, 2001, the competent authority ought to have conducted a special inquiry to ascertain her contention. The Bench said though such rules were mere discretionary in nature, the High Court could not, by ignoring them altogether, come to the conclusion that Narinder Kaur was not entitled to claim any change in her date of birth. As the Punjab Chief Registrar, Births and Deaths, filed an affidavit in August 2010 that as per record of the local registrar with the Municipal Council of Rajpura, her date of birth was January 9, 1972. The apex court ordered the High Court to change the date of birth in her service record. As accused Inder Sain’s bail plea in the murder case registered on December 9, 2003, came up, Justice Ranjit Singh observed: “When the case is taken up for hearing, counsel appearing for the CBI prays for time on the ground that SS Sandhu, who was to argue the case, is out of station. “Time and again, it has been insisted upon by the court to file a written request whenever there is some commitment of the counsel. “Still, this is being violated. In the interest of justice, the case is adjourned till February 14. This, however, shall be subject to the payment of Rs 10,000 as cost to be deposited in the account of the Legal Services Authority, Chandigarh. Let the investigating officer be present on the adjourned date, along with the costs”. Sain, 78, is in custody since 2006 and is seeking bail in the case registered under Sections 302, 120-B and 34 of the IPC. The CBI had earlier sought directions to summon Inder Sain and another accused after filing the supplementary final report in the court of the CBI special magistrate at Ambala. The CBI had claimed that investigations had disclosed that in pursuance to a conspiracy hatched by Avtar Singh, Inder Sain, Krishan Lal, Jasbir Singh, Sabdil Singh and others on June 16, 2002, Ranjit Singh was killed while working in his fields in Khanpur Kolian village in Kurukshetra on July 10, 2002. The CBI had said the victim had told his parents about the threat to his life from Avtar Singh, Inder Sain and others who wanted him to seek an apology from Baba Gurmeet Singh. Hooda handed over the All-India Reporter legal software-loaded computers to various Bar Council representatives. The legal software would go a long way in helping lawyers and judges as it would now be simpler for them to find relevant and latest case law on specific legal issues.Hooda said the traditional methods and systems of delivery of justice had undergone a sea change with the advent of computers and information technology. That time was not far away when there would be paperless courts in India as the concept had already been introduced in Singapore where it was believed to be working very efficiently. Hooda announced a grant of Rs 1 crore for the Haryana Advocates’ Welfare Fund and Rs 25 lakh as the first installment for the computerisation project. Haryana Advocate-General Hawa Singh Hooda, Political Advisor to Chief Minister Prof Virender Singh, Bar Council of India Member Brij Mohan Vinayak, Bar Council of Punjab and Haryana Chairman Gurinder Pal Singh, Secretary Rajeev Kaswan, Senior Additional Advocate-General, Punjab, SS Bhinder and members Vijender Ahlawat, BS Rathore, Partap Singh, Jaiveer Yadav and MS Yadav attended thefunction. State Health Minister Rao Narender Singh inaugurated a heart and medical check-up camp organised by the district unit of the Haryana School Lecturers Association (HSLA) and Smanco Parivaar in collaboration with Medanta — The Medicity, Gurgaon, on the premises of the State Council of Education Research and Training (SCERT) here today. The minister maintained that the posts of doctors lying vacant in the government hospitals would be filled soon. A complete transparency would be observed in the recruitment process, he asserted. Nearly 300 persons turned up for check-up at the camp. Padma Bhushan Dr Naresh Trehan from Medanta performed the health check-up of the Health Minister. In response to a query, Rao Narender Singh said he would try to restore people’s faith in government hospitals. “The guidance of Dr Trehan and other senior medical professionals would also be sought in running the government hospitals more efficiently,” he observed. The minister said the health-related government schemes would be implemented in letter and spirit so that maximum number of patients were actually benfitted from these. He stated that the doctors at government hospitals had been directed to behave courteously with the patients, adding that the doctor(s) found guilty of misconduct with patient(s) or dereliction of duty would not be spared. The Health Minister took a round of the local general hospital and emphasised on maintaining cleanliness in the hospital. Badshahpur MLA Rao Dharampal, former MP Dr Sushil Indora, SCERT director Sneh Lata Ahlawat, Civil Surgeon Dr Praveen Garg and Deputy Civil Surgeon Dr MP Sharma were also present. The SSP, Satish Balan, said the couple from Bahu Akbarpur village identified as Virender (25) and Mukhtiyari (19), had approached him yesterday and sought protection. Virender, a labourer, fell in love with a girl residing in his village who had come with her family from Multan in Pakistan about four years back on a tourist visa. “While my family did not oppose the alliance, the father of the girl did not agree to it and we decided to leave the village and get married in a temple in Delhi on February 6,” said Virender. He said his parents had been providing them food at the shelter home here. The second couple, Narender and Sakshi, approached the police today for protection. Narender, employed as a salesman here, is a Brahmin. Sakshi, a Punjabi, is a resident of Ambala. The couple told the police that they faced a threat from their families who had opposed their marriage. The girl was reported to be in the family way. These students identified as Sunil Kumar (B.A.III yr), Kuldeep, alias Bably, and Jagbir, were not allowed to enter the campus till further orders or whenever summoned by the proctorial committee for further hearing in the case. Two students Sandeep Kumar and Rajesh Kumar, both of BA (II) of Kurukshetra University, had complained to the Vice-Chancellor yesterday that they had been beaten up and ragged on Wednesday in the compound of the Narhari Bhawan, one of the hostels, by some students, including Sunil Kumar, Kuldeep alias Bably, and Jagbir, on Wednesday. Taking a serious view of the complaint, the VC directed the proctorial board to hold an emergency meeting and probe the matter. The board after recording the comments of students, including the complainants, held them prima facie guilty of beating up the complainants. The board would determine at the earliest, whether it was a case of ragging or group fighting. The VC said all necessary arrangements for the security of students on the campus. had been taken. Two persons, Dharam Pal of Kaithal and Lakhbir Singh of Sidhpur were coming to Karnal to sell a stolen vehicle. On a tiff-off, a team of CIA, led by Inspector Manoj Kumar, intercepted and impounded the vehicle at IIT Chowk in Karnal and arrested both the occupants. The arrested persons were produced in the court and remanded to four days police custody. During interrogation, they confessed that their gang had about a dozen members indulging in theft of luxury cars in the states of Himachal Pradesh, Punjab, Haryana, Uttar Pradesh. They then sold them as second hand cars by preparing fake documents through computers. Based on information extracted from the arrested persons, another member of the gang, Balwinder of Kaithal was arrested and produced in the court which remanded him to a six-day police custody. The police expected to recover at least half a dozen vehicles from Balwinder. His investigations revealed that the gang had already sold 25-30 stolen cars to people, and the police was investigating the buyers for recovering these cars, the police said. A Chhattisgarh-based PPP, Lanco Amarkantak Power Private Limited (LAPPL) is one such company which played a similar trick with the state government. However, the Haryana Power Generation Corporation Limited (HPGCL) decided not to let the company befool the state. It moved the Haryana Electricity Regulatory Commission (HERC) to stake its claim over 300 MW power from Unit-2 of the LAPPL project in Chhattisgarh. The HERC has upheld the claim of the HPGCL. The LAPPL had entered into a PPA with the Power Trading Corporation (PTC) on October 19, 2005, for purchase of entire 300 MW power from its Unit-2 for 25 years at an agreed tariff of Rs 2.32 per Kwh. Subsequently, the PTC on September 21, 2006, entered into a back-to-back power sale agreement (PSA) with the HPGCL for this power. Munish later lodged a complaint with the DC that Dr Makkan Lal, medical officer posted at the community health centre, Ratia, connived with Surender and issued him MLR showing grievous injuries, though he had sustained simple injuries. When the medical board appointed on the orders of the DC examined Surender, his injuries were found to be of simple nature. Munish later brought the matter to the notice of the Director General of Health Services as well as the IGP, Hisar. The IG ordered the matter to be inquired by a DSP, who later found that the MLR issued by the doctor was fake. The police has booked the doctor, now posted in Narnaul district, for fraud and criminal conspiracy. Referring to the alleged land scams in Haryana, Chautala said if investigated, these would be found even bigger than the 2G spectrum scam. The party would organise demonstrations at all district headquarters from February 16 to February 26 to protest against these scams. SS Satish Balan said the seizure was made after an information that some persons travelling in a jeep had been in possession of a large quantity of drugs and were on their way to Rohtak. The accused reportedly told the police that the cache was bought by them for an amount of Rs 13 lakh from suppliers in Nepal and was meant for supply in Rohtak and its adjoining areas, claimed the SSP. While two of the accused, identified as Jai Bhagwan and Virender, hail from Chiri village in the district, the other two nabbed with the seizure have been identified as Lallan Chaudhary and Abdul Hafiz, both residents of Bihar.